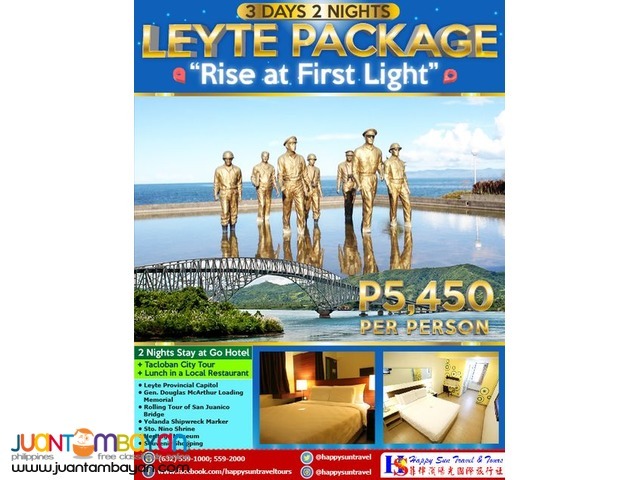 3D2N Leyte "Rise at First Light" Promo | Manila | Happy Sun Travel & Tours, Inc.
» Book until August 31, 2018 | Promo slots are limited only. Last day of sale is always sold out. BOOK NOW.